This is a great project for the days following Christmas. 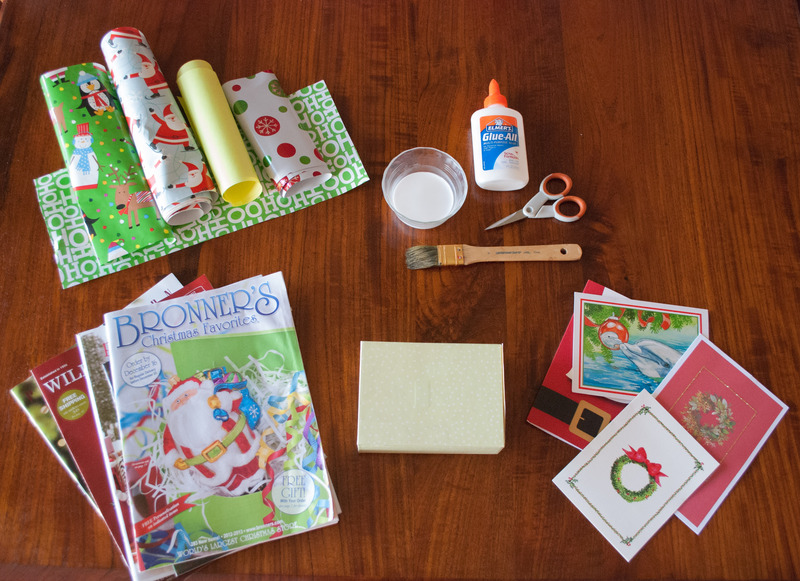 Save your small boxes, favorite wrapping paper, some tissue paper and Christmas cards! 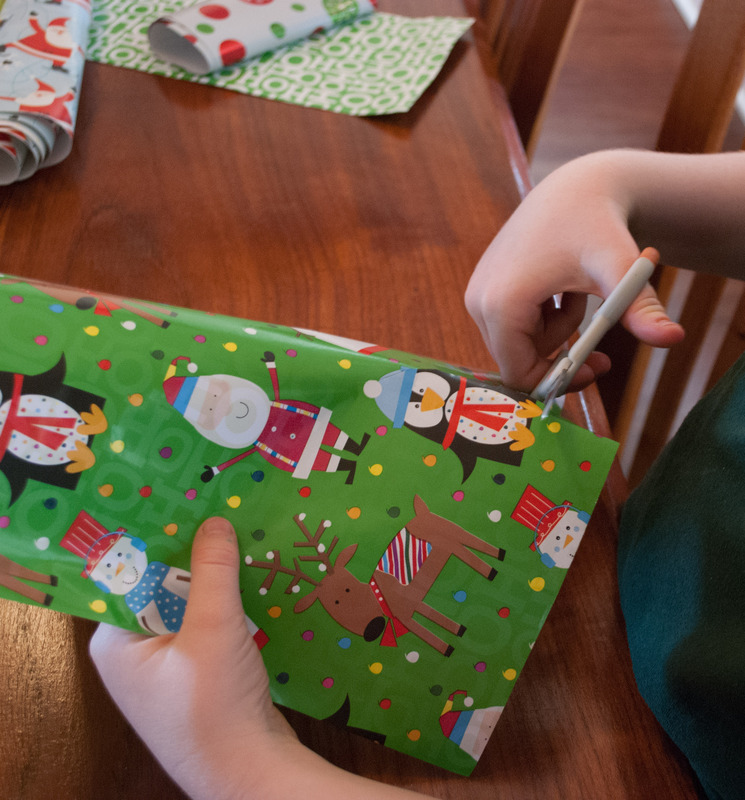 Have the kids cut out images or swatches of color from the catalogs or wrapping paper. You could try a “Santa” theme, a Holiday theme, certain colors, or just go for it. Just brush the paper with glue, place it on the box, and add a bit more glue on top. Overlap the images a bit if you don’t want to see the box. 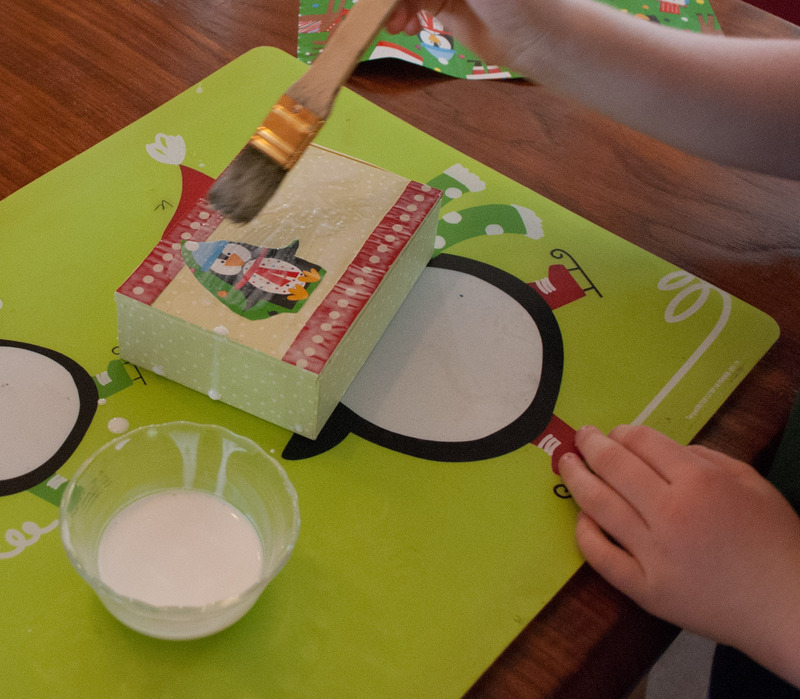 When the box is covered, or your kids are done, add one more layer of glue on top. It will dry clear. Place the box on wax paper and move it every so often so it does not dry to the paper. When the box is dry, place note paper and tiny ribbons inside. Some time before New Years’ Day, use a paper to record your wishes and predictions for the new year, as well as accomplishments from the previous year. Date it and tuck the slip of paper away until the following year. If this looks like it might be too much of a mess and you live in the Honolulu area, try decoupaging at Art Explorium, a new studio for kids that just opened in Kaimuki (http://www.artexplorium.org/). They rotate art centers, so call ahead if you want to decoupage. We went the other day and spent well over an hour there. At a flat rate of $5 a kid, it was the best $10 I’ve spent this season! 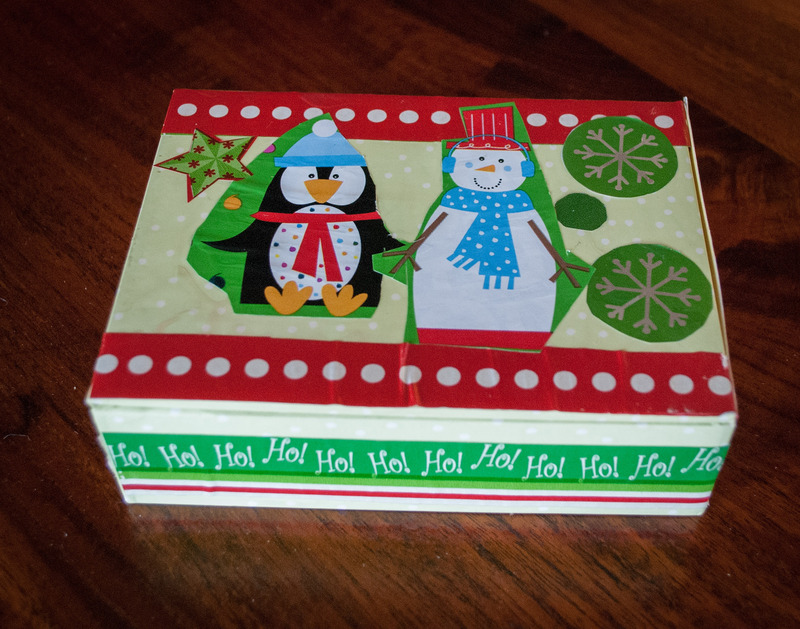 This entry was posted on January 25, 2013 by mdaucello in Christmas, Crafts, Holidays and tagged Crafts, Holidays.